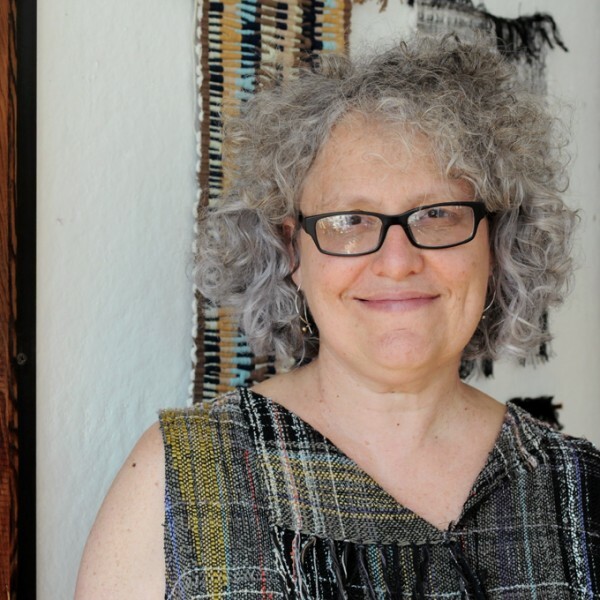 Leslie Sudock, lawyer, activist and fiber artist, has opened her workshop called Ready to Hand in the south side of Philadelphia. 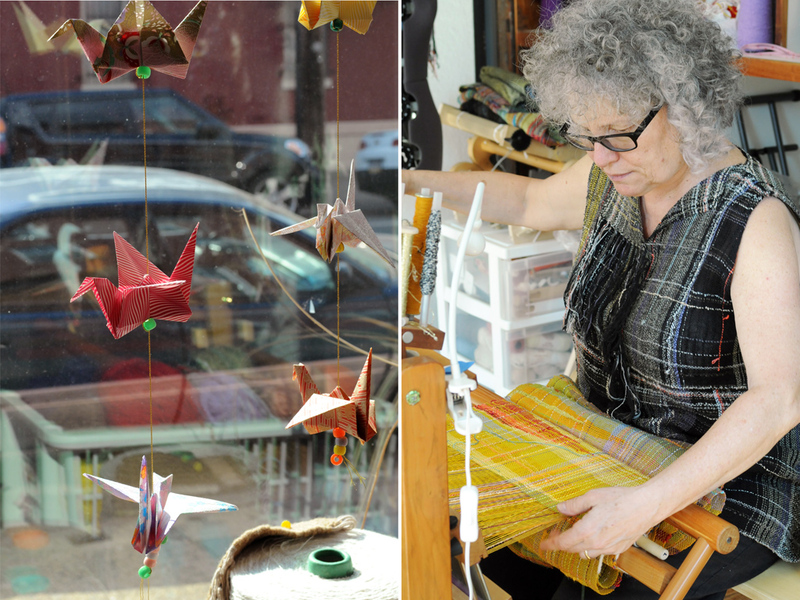 In 2013, she bought a small building in this working-class district and set up her space on the ground floor. 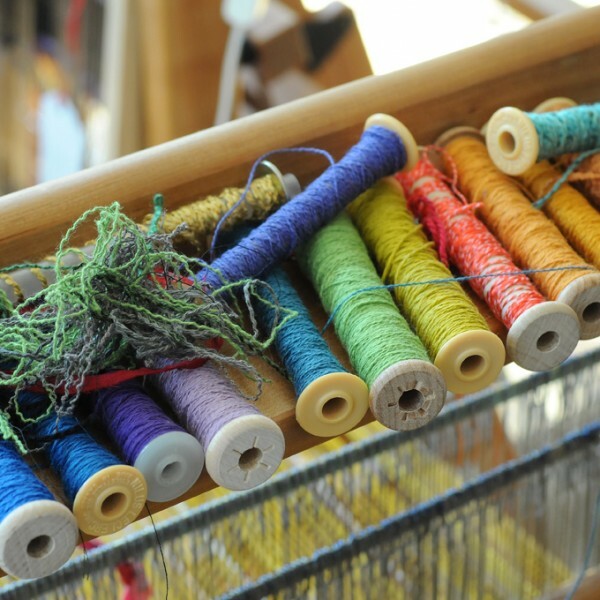 Through the workshop’s large windows, the beautiful natural light softly lands on the colorful yarn cones and the textile pieces hanging on the walls. 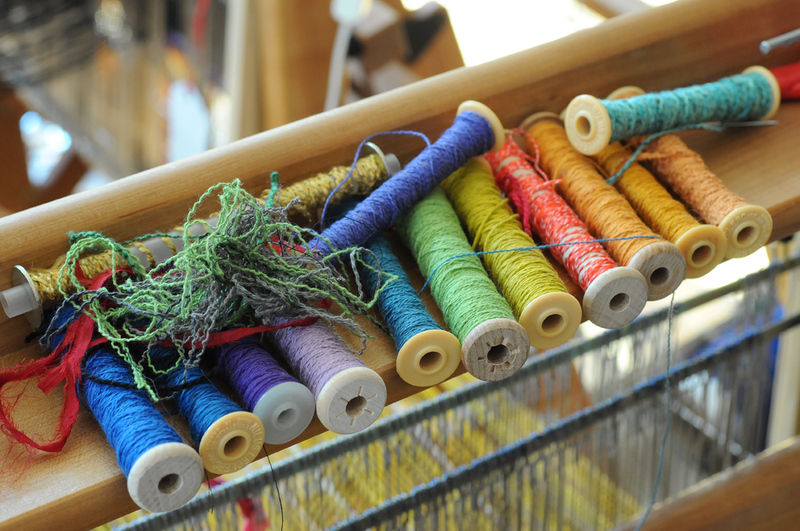 In this peaceful atmosphere, a dozen of artisanal looms are ready for use. 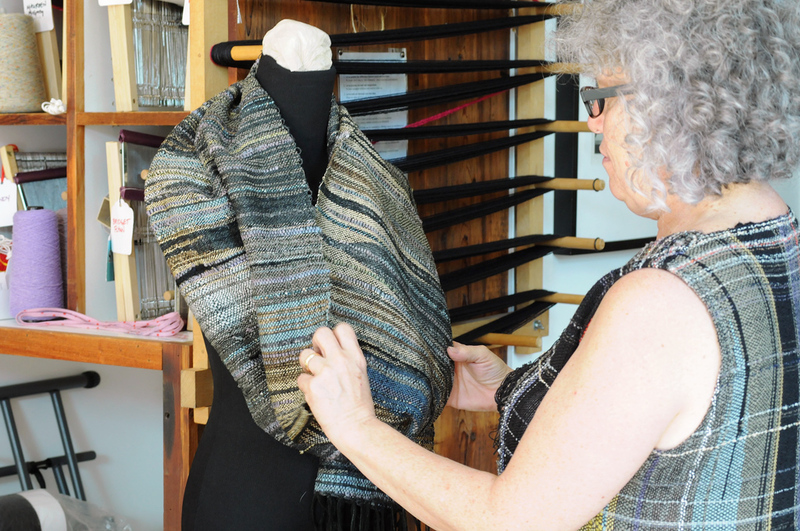 Leslie Sudock offers one-of-a-kind weaving classes. 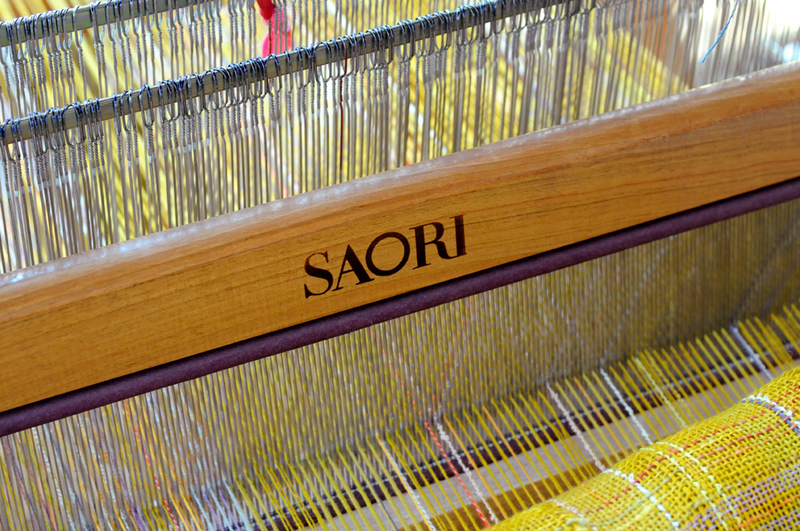 She welcomes small groups of apprentices who wish to discover the precepts of SAORI weaving. Transmission is central to this philosophy. 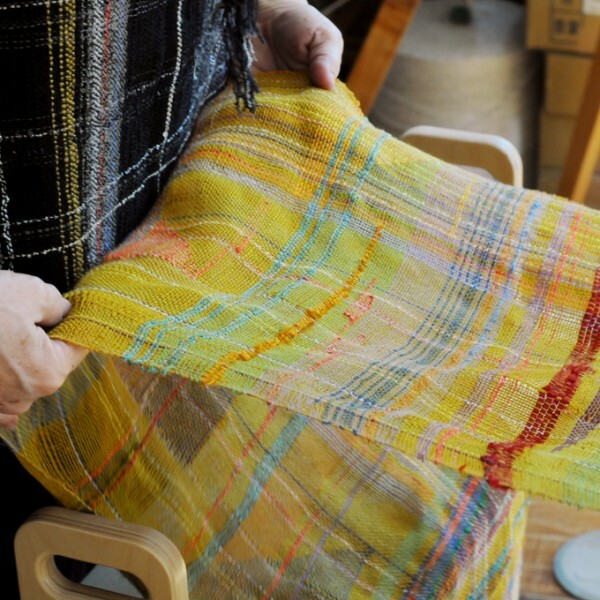 She herself received teaching from Mihoko Wakabayashi from the Worcester SAORI studio, Massachusetts in 2012. This movement was launched in Japan by Misao Jo in 1969. 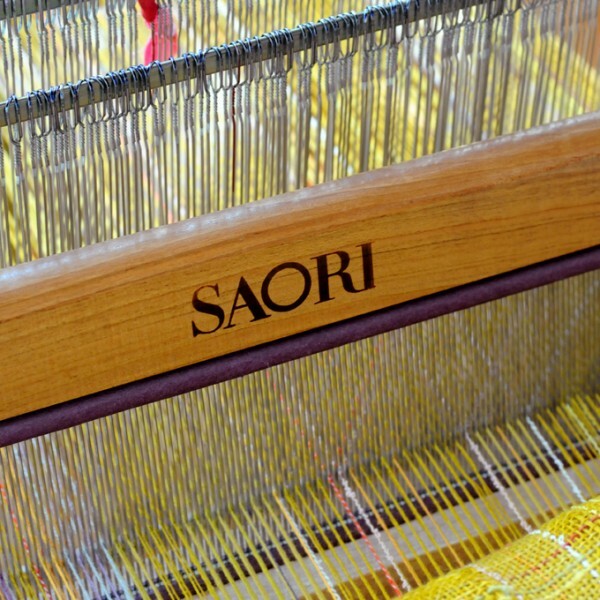 More than a craft, SAORI is considered an artistic philosophy in the ZEN tradition, following the motto “learn from each other, inspired by everyone.” Sa is the abbreviation of sai, a Zen term meaning dignity, and ori stands for “weaving“ in Japanese. 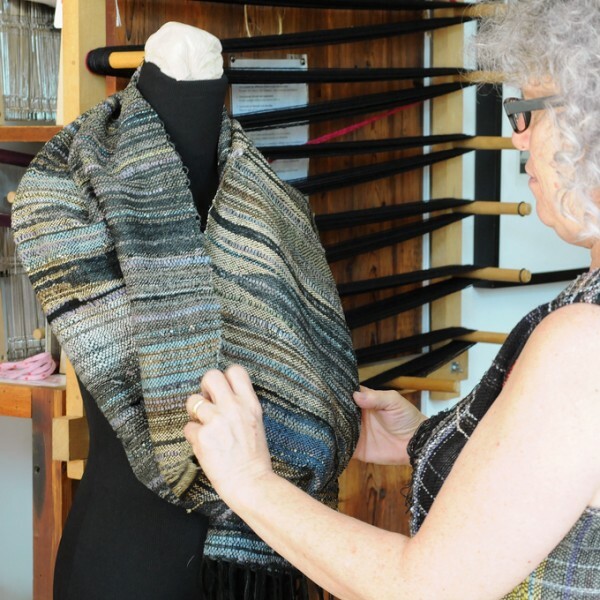 Open to all, regardless of age or physical condition, this practice calls for improvisation. 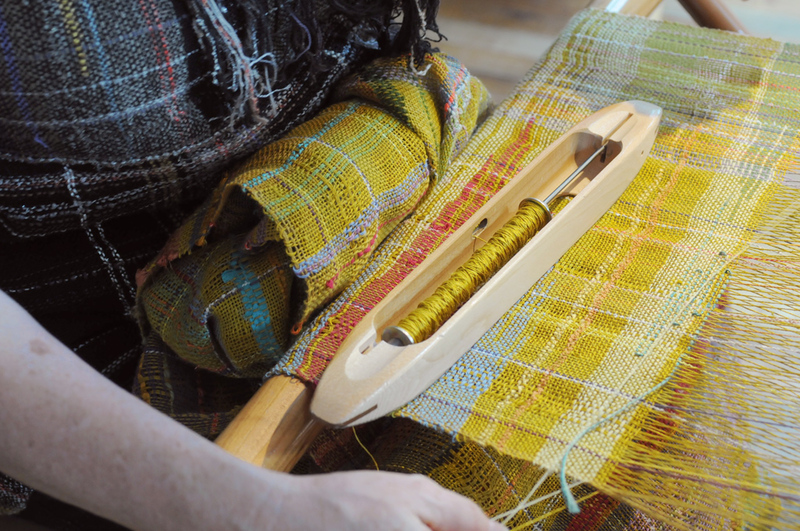 Warp is usually already set up on the loom, but not always. 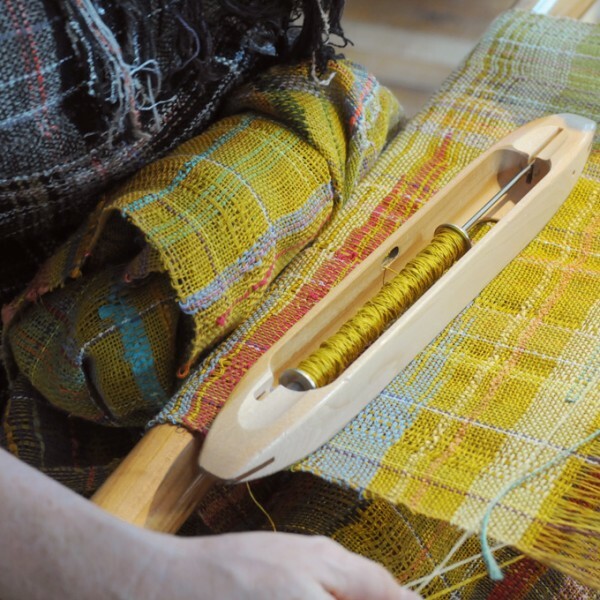 Some weavers, including Leslie, still prefer to make their own warps. 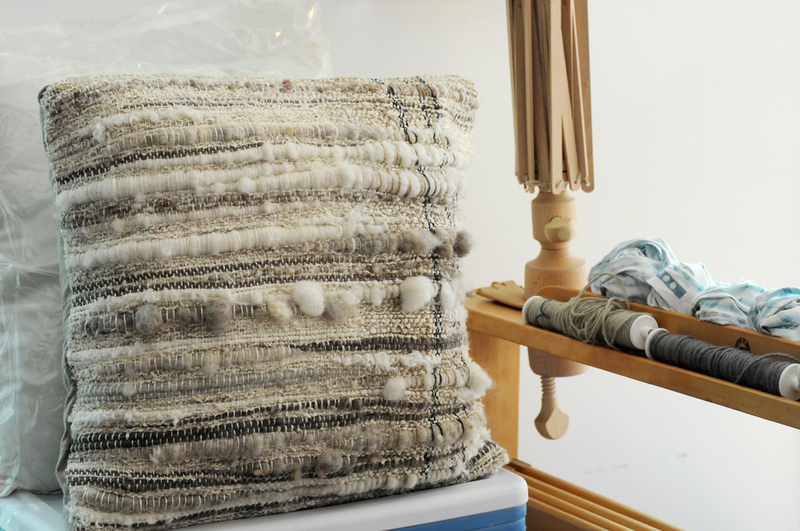 And then, weavers only need to work on the weft with cotton and wool yarn, according to their inspiration. 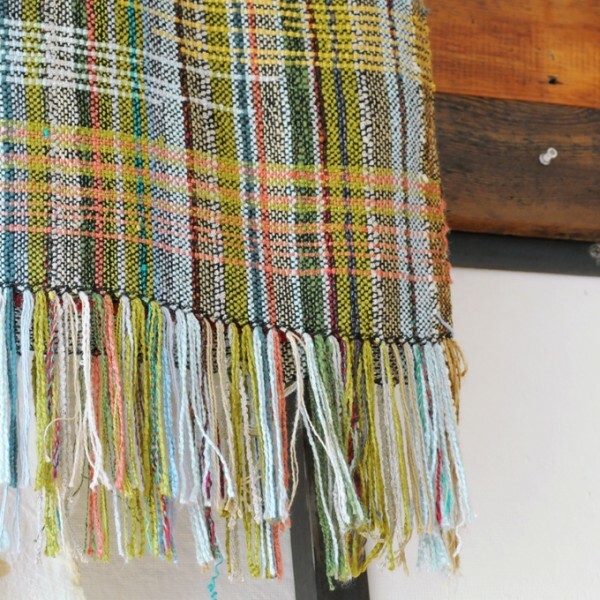 Without following a pre-determined pattern or weave structure, it is like painting with colored yarn on a canvas. 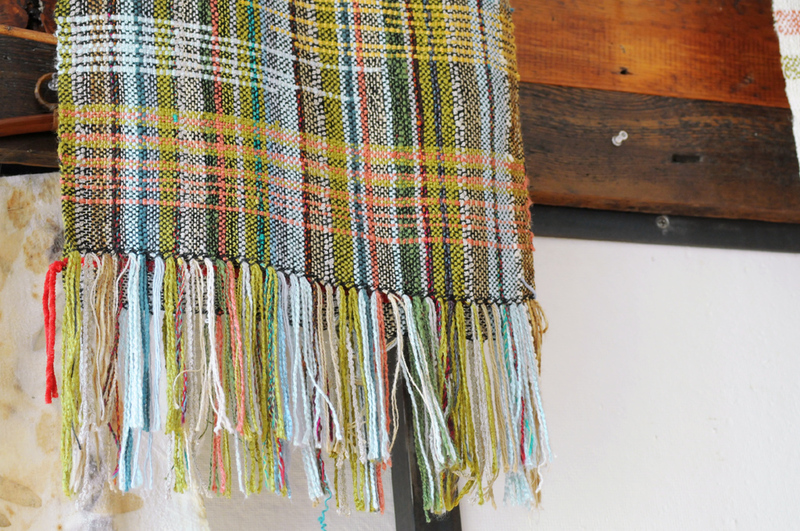 Once the weaving is finished, fabrics can be turned into scarves, or used to make clothing. 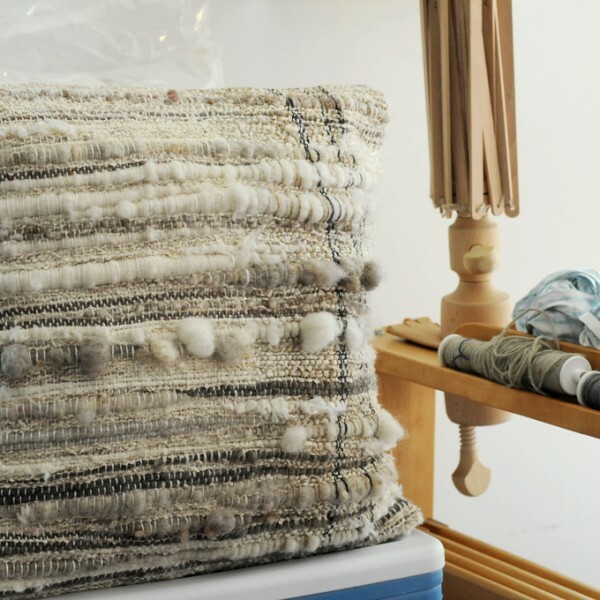 These unique pieces of wearable art, coats and ponchos, are assembled by hand with very little intervention on the original textile, usually sewn selvedge to selvedge and without any hem. 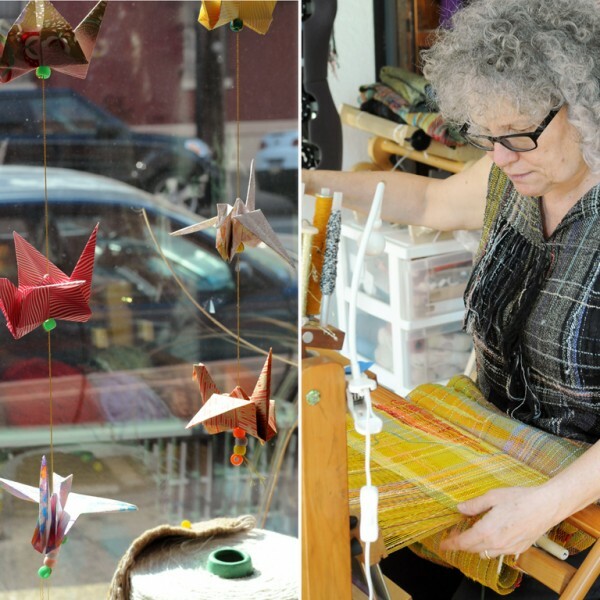 Sudock has always been very involved in her neighborhood’s life. 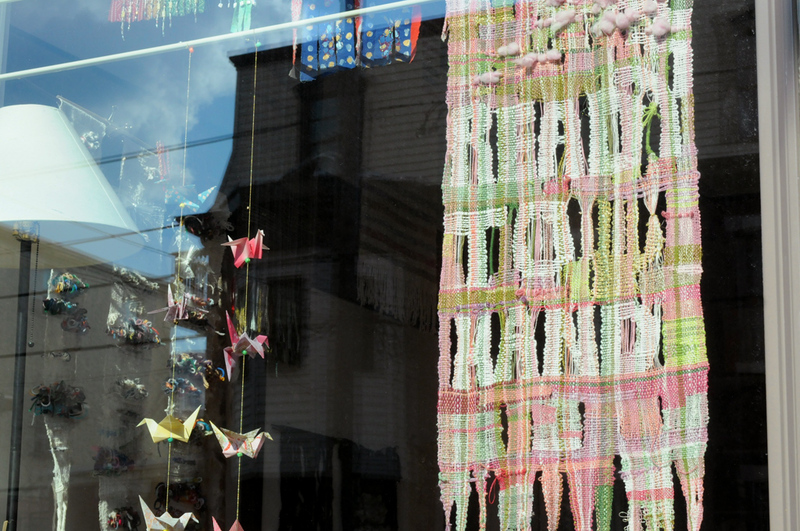 Ready to Hand is located in a changing area. 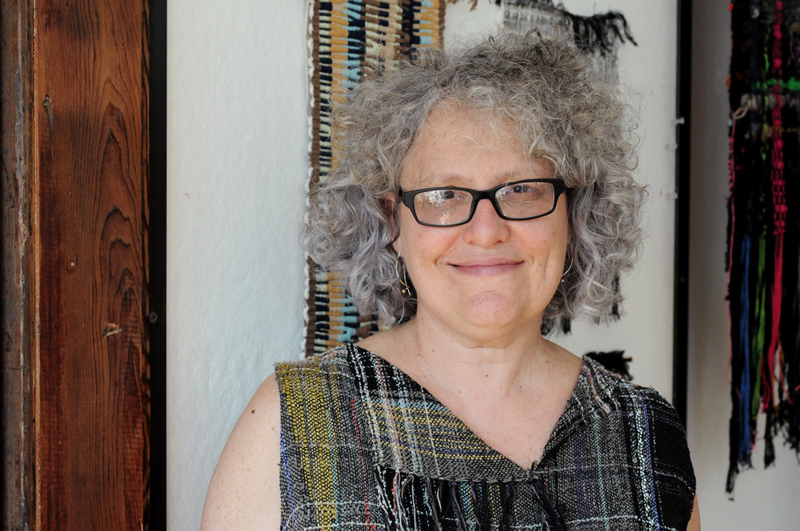 Values of sharing and sense of community are at the heart of her textile approach. 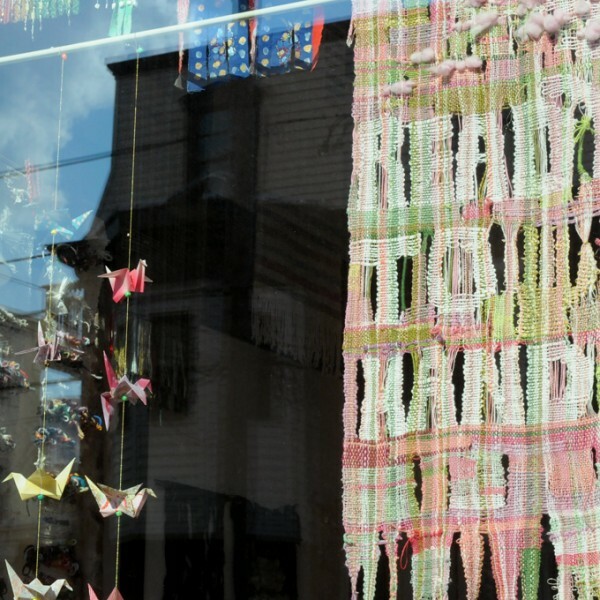 Convinced of SAORI’s positive therapeutic effects, she shares her knowledge in Philadelphia’s classrooms with children, but also in homeless shelters, working in particular with the Street Arts Textiles programme. 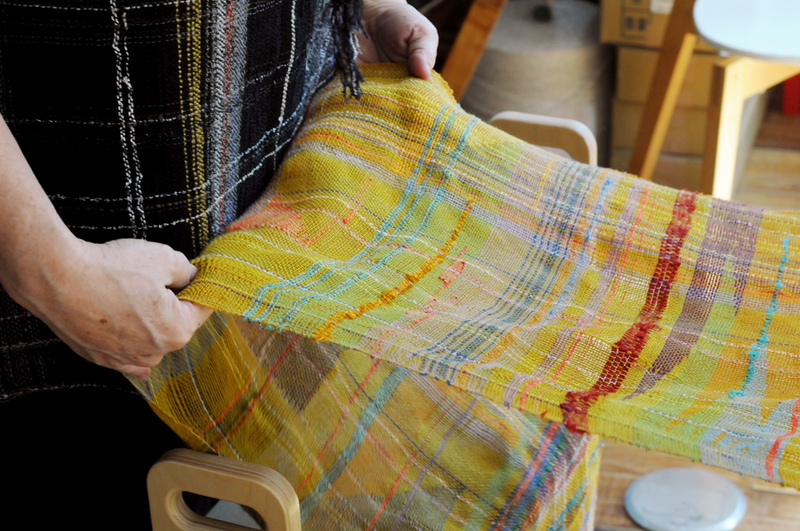 In SAORI, uneven edges, happy glitches, and graceful irregularities celebrate the beauty of imperfection. This sensible and empirical art reveals itself in regular practice, and also offers the opportunity to strengthen social bonds.